See more objects with the tag architecture, building, boxes, texture, towers, prototype, asia, concrete. See more objects with the color paleturquoise slategrey darkslategrey darkgrey darkslategrey or see all the colors for this object. 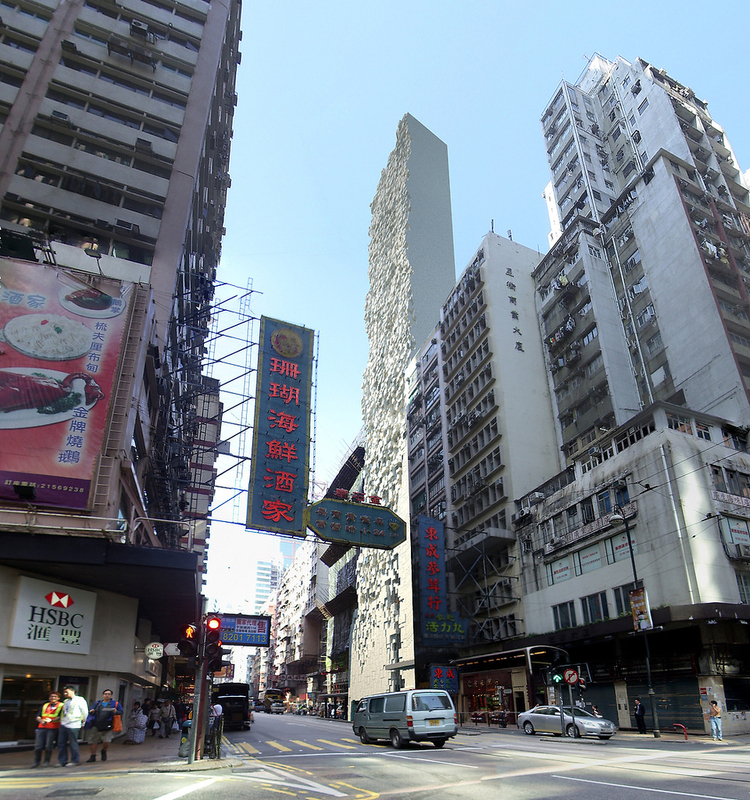 This is a Sheung Wan Hotel (unbuilt). It was designed by Heatherwick Studio and Thomas Heatherwick and made for (as the client) Lucid Rich, Kush. It is dated 2008. How can a new building fit into the atmosphere of a busy old district of Hong Kong? For this new forty-story hotel in Hong Kong’s Sheung Wan district, the studio wanted the building’s inside to relate to its outside. Every hotel room contains a familiar set of objects—bed, window, mini-bar, and safe— that the studio interpreted as a series of boxes. A set of four different-sized boxes form the furniture and fittings of each room and, as a result, the building’s façade is composed of the outsides of these thousands of boxes. Varying how far each box protrudes gives the building a rugged, textured facade that contrasts with the sleekness of most new buildings. It is credited Courtesy of Heatherwick Studio. This object was previously on display as a part of the exhibition	Provocations: The Architecture and Design of Heatherwick Studio.